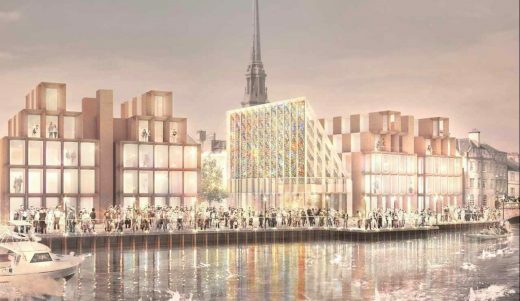 Construction work is set to get under way early next year on a new £10m Ayr Riverside Office Development following an agreement led by development partner hub South West, acting alongside South Ayrshire Council, to award the construction contract to Tier 1 contractor, Morgan Sindall. 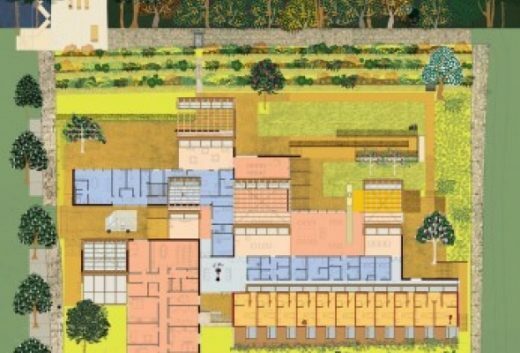 The architects have won approval for this bold masterplan in South West Scotland. 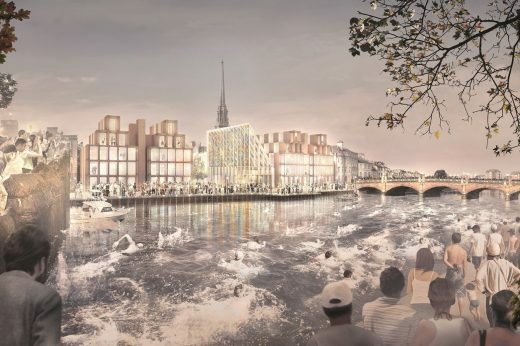 Known as the Riverside Block between the medieval “Auld Brig” and the Victorian “New Bridge”, the plans include sweeping away the massive retail stores which have blocked access to the river since the 1960s and the creation of landscaped public realm alongside a festival building and an elegant new waterfront for the town, according to South Ayrshire Council. 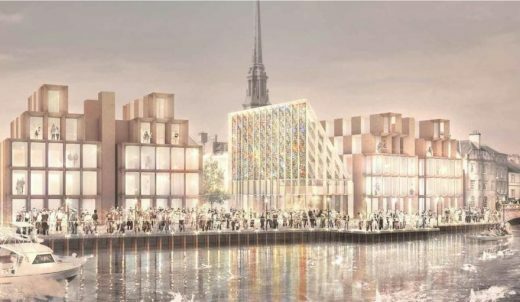 Ayr Renaissance, a body formed by South Ayrshire Council to lead the regeneration of Ayr town centre has submitted an ambitious waterfront masterplan, report Urban Realm. 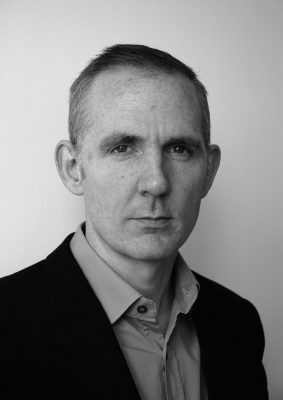 21 September 2016 – The Royal Institute of British Architects (RIBA) has today (21 September 2016) announced Níall McLaughlin, founder of Níall McLaughlin Architects, as winner of the 2016 RIBA Charles Jencks Award. 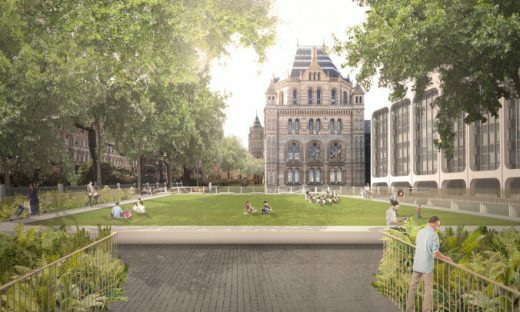 Proposals to transform the surroundings of the Natural History Museum, London, have been lodged with the Royal Borough of Kensington and Chelsea. Architect Alfred Waterhouse’s building is a visual essay of the intellectual landscape of its day. Commissioned by the naturalist Richard Owen, who disagreed with Darwin that a creature could move from one phylum to another as part of the process of Natural Selection, the skeletal gothic structure teems with wildlife divided into separate species, as a counter to Darwin’s ideas of transmutation. We enjoy the paradox of a monument to a discredited premise embedded in the city, reports Níall McLaughlin Architects. It speaks of the diversity and complexity of the natural world and the fluid landscape of scientific research of which the museum is a global leader. Our proposal incorporates a new public garden square at the corner of Exhibition Road and Cromwell Road, with a campanile, announcing the presence of the museum at this important junction. The base of the tower forms a new entrance to the museum that is accessed directly from the tunnel connecting back to the tube station. A new east-west promenade within the railings enclosing the museum re-instates the view of Waterhouse’s beautifully zoomorphic south facade, with a contemporary urban garden exploring ‘future nature’ laid out at the western end. We intend that the east-west sequence story, from geology and paleontology through to future nature, encapsulated within the museum, will now be given public expression in the newly configured gardens of the exterior setting. Ireland at the 15 th International Architecture Exhibition in Venice in 2016. 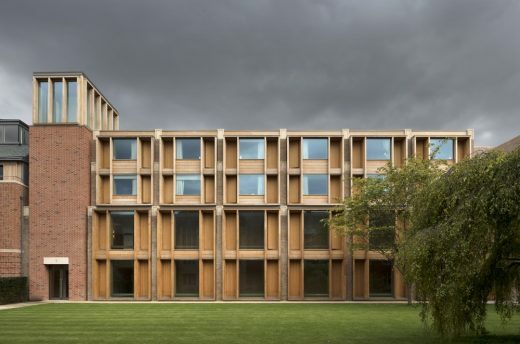 Niall McLaughlin Architects has won the RIBA competition to design a new College Chapel in Oxfordshire. Ripon College Cuddesdon and the Oxford Ministry Course combine to make a thriving, vibrant single institution providing theological education and training for ministry. The new Chapel building will be built as part of a major programme of expansion and consolidation of its buildings in order to meet the needs of ministerial formation and Christian education in the 21st century. May 2, 2018 in Architects.